Feel free to RSVP at the Facebook Event page or just come! 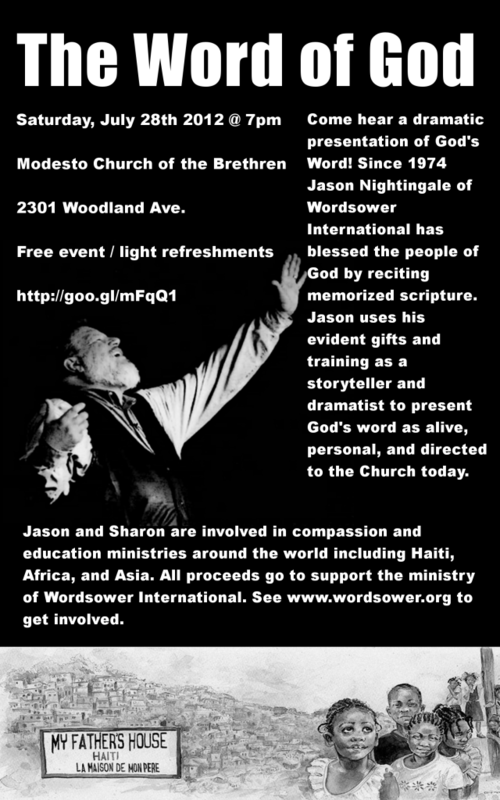 Over the last few years I’ve been privileged to hear Jason speak frequently – reciting entire books of Scripture from memory or sharing his insight as a minister among God’s people. I’ve been blessed by his commitment and talents in sharing the Word of God and by his commitment to live his vocation in service to the poor and needy.